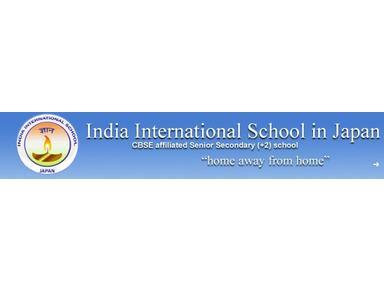 India International School in Japan is a CBSE affiliated school for students from Kindergarten to Grade 12. Teaching Faculty at its Tokyo and Yokohama campus, strives to integrate moral values, compassion and co-operation into the daily life of students. Here, children receive consistent, individual attention from a qualified and experienced staff in the classroom. They are encouraged to participate in group discussions and develop their curiosity. Students are presented with the opportunity to exceed the expected academic standards, to excel in physical education, and to participate in extra curricular activities. Moreover, boys and girls acquire social qualities that form their character and personality. The School provides a curriculum which includes Western and Indian music along with Indian and foreign languages. By supporting multicultural education, we believe students can build their environmental awareness and learn to respect each other’s cultures. In return, children acquire important social skills evident inside and outside the classroom. IISJ builds confidence in its students to set goals and work towards them. Our mission is to provide a comfortable community where young children can prosper with the knowledge they obtain. Here, young men and women can excel in academics, become involved with the outside world, and most importantly, learn to become independent.